Kings Beach is one of our larger communities located in North Lake Tahoe and is accessed by either Highway 28, and/or Highway 267. 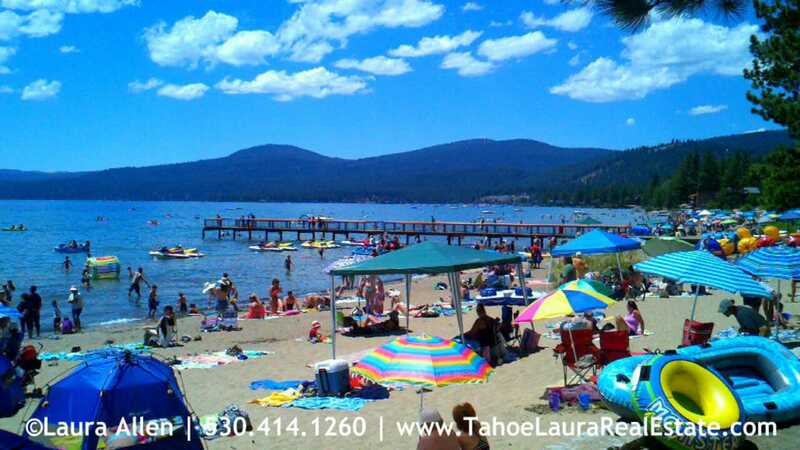 This area is known for it’s beautiful, white, sandy beaches, and because this area is fairly shallow, it allows for those that want to wade in to feel comfortable as they dip their toes into the cool waters of Lake Tahoe. There are only nine (9) condominium, and/or townhouse developments in the greater Kings Beach area, and that number drops down depending on whether Placer County and local agents are placing those developments in the Kings Beach area, or in the Tahoe Vista area. Finding Kings Beach condos for sale at any one given time can be limited due popularity of this community. Chateau Chamonix, (Lakefront Development) Kings Beach / Tahoe Vista (Depending on the real estate agent this complex can appear as being in either community). Heratage Cove, (Lakefront Development) Kings Beach / Tahoe Vista (Depending on the real estate agent this complex can appear as being in either community). Kings Run, (Mountain-side Development) Kings Beach / Tahoe Vista (Depending on the real estate agent this complex can appear in either community). Tahoya Shores, (Lakefront Development) Kings Beach / Tahoe Vista (Depending on the real estate agent this complex can appear in either community). The Kings Beach area has one of the larger supplies of homes in the area. This area is very desirable because of the close proximity to the public beach areas, the Northstar Ski resort area, and is just a few miles from Crystal Bay and Incline, Nevada for those that want more nightlife. Kings Beach has a nice selection of restaurants, stores, motels/cabins, and services to make your stay in Kings Beach a wonderful one. Kings Beach has several public beach areas including: Speedboat Beach and the Downtown Kings Beach Recreational Area. Want more information on the Kings Beach area, or on any of the different condominium and townhouse developments? Need more help in trying to figure out your greater Kings Beach -North Lake Tahoe condo buying options? Do you want help figuring out the different HOA fees, amenities, locations, and the ones that will best meet your individual needs? Call me at 530.414.1260 and I can help you find the right place to buy!